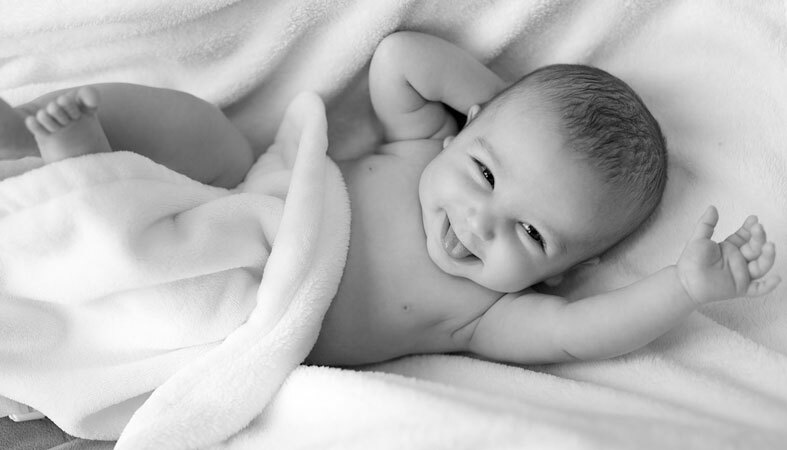 Home » Healthy Sleep » What is The Ideal Temperature a Baby’s Room Should Be? What is The Ideal Temperature a Baby’s Room Should Be? 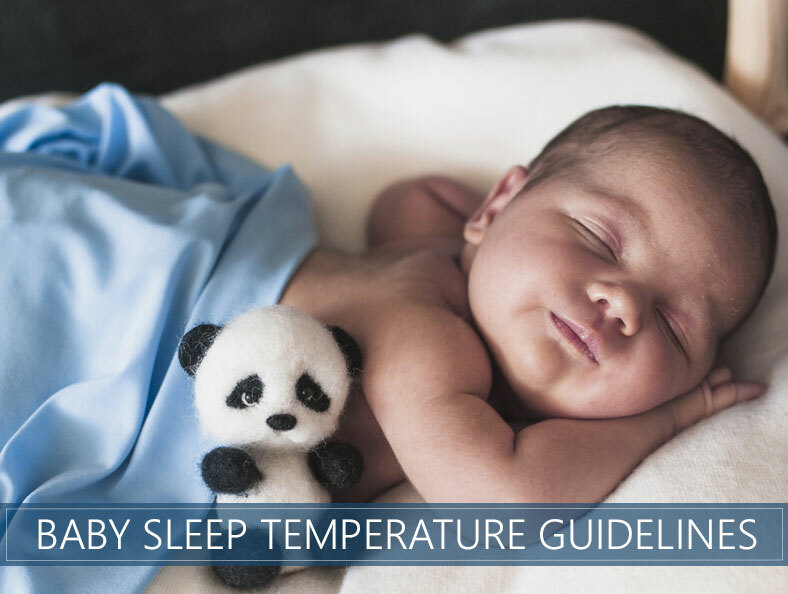 Since babies can’t tell us when they’re too hot or too cold, it’s up to us as parents to know the proper baby sleep temperature guidelines to keep them comfortable and safe. Many parents believe that infants need to be kept extra warm and fully bundled at all times, but this is rarely the case. In fact, the risk of SIDS (Sudden Infant Death Syndrome) increases when a newborn is too hot. This danger is prevalent all the way through the toddler years, but it is most pronounced from birth until about six months of age. In this article, we’ll share research about how to determine the right temperature for your little one and what you can do when the weather makes maintaining equilibrium more challenging. Luckily, there’s a range, so you don’t have to keep your home at one exact temperature. In general, experts recommend temperatures between 68 and 72 degrees Fahrenheit, which is the equivalent of 20 to 22 degrees Celsius. If the room your infant sleeps in doesn’t have a thermostat, use a portable, indoor thermometer to keep track of how warm or cool the bedroom is. In general, babies and toddlers will be comfortable at the same temperatures adults prefer, though they may need an additional layer, depending on whether or not they tend to run hot. A parent’s first instinct may be to first check the baby’s hands or feet to gauge temperature, but this won’t provide the most accurate gauge of your infant’s comfort level. Instead, recommend placing your hands on their head or stomach to see if they feel warm. Also, be on the lookout for sweating, flushed cheeks, rashes, damp hair and rapid breathing, which are all signs that an infant is too hot. Another sign is if they seem extra fussy despite the fact they’ve eaten, and there are no required diaper changes. They may just feel uncomfortably hot and need your help cooling off. It’s tempting to bundle your infant up into a baby burrito. However, they still need to breathe! 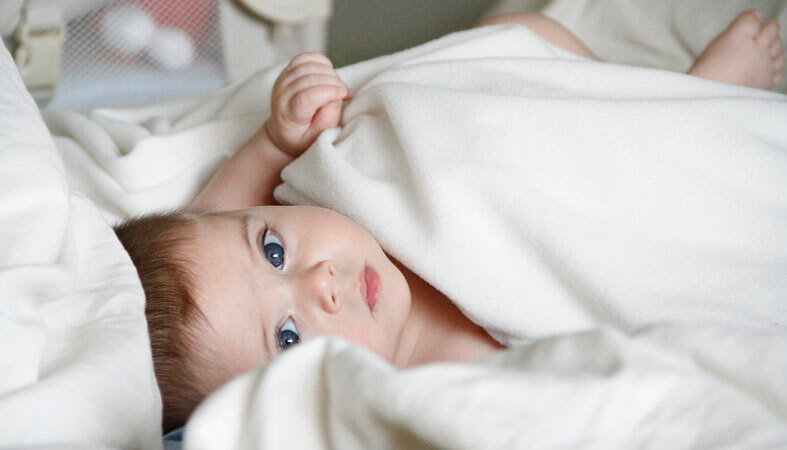 Pajamas, a swaddle, and piles of blankets are overkill and increase the risk of SIDS. Instead, consider a lightweight sleep sack to keep them cozy, and try something heartier when the weather is cold. If your baby is sick, opt for fewer rather than more layers. The reason is that their body temp is already elevated, and they need to be able to cool off slightly rather than raise it further. Again, the risk of SIDS is highest in the first six months of life, so avoid pillows, toys and stuffed animals in the crib during this time. If you find that you need a blanket in cold climates and the colder seasons, make sure it only extends up to your baby’s chest. It should be tucked in so that it can’t be pulled over the head. And finally, check that it’s lightweight and breathable to prevent suffocation. While a fan won’t dramatically decrease the temperature in the room, it does circulate oxygen. It can also freshen up the air in the room, allowing your toddler to get better airflow rather than rebreathing stagnant air. If you don’t want to make a co-sleeping arrangement, consider moving the crib or bassinet into your bedroom and placing it near your bed. While tummy time is crucial for development, the AAP suggests that this position is reserved for waking hours only until your toddler is a year old. Before that milestone, place your infant on their back to both reduce SIDS and allow air circulation around their face. We’ve talked a lot about a baby being too hot, but we have thus far failed to mention what to do if they’re too cold! When an infant is feeling the chill, the first thing you may notice is that their hands and feet begin to turn slightly blue. While this may be cause for alarm in kids and adults, it’s nothing to be overly concerned about when you observe it in an infant. Once you warm them slightly, and their body returns to a normal temperature, you’ll see that their extremities return to a healthy hue. We recommend dressing babies in layers, but don’t overdo it. If you notice that your baby is sweating, flushed or has damp hair, that means they’re too hot. Remove a layer and check again in a few minutes. If your little one is too cold, add a layer of clothing or a pair of socks. Again, add single layers at a time and continually asses rather than taking everything off or over-bundling. How can I adjust the room temperature in summer? If you have the luxury of indoor air conditioning and a thermostat, this is a no-brainer. Just set the display to your desired temperature and luxuriate in the coolness. If you don’t have the ability to control the environment that directly, you’ll have to be more creative. A fan can help slightly but be careful not to aim it directly at your baby. We also recommend paring down the layers of clothing down to a onesie with the option to add lightweight socks. 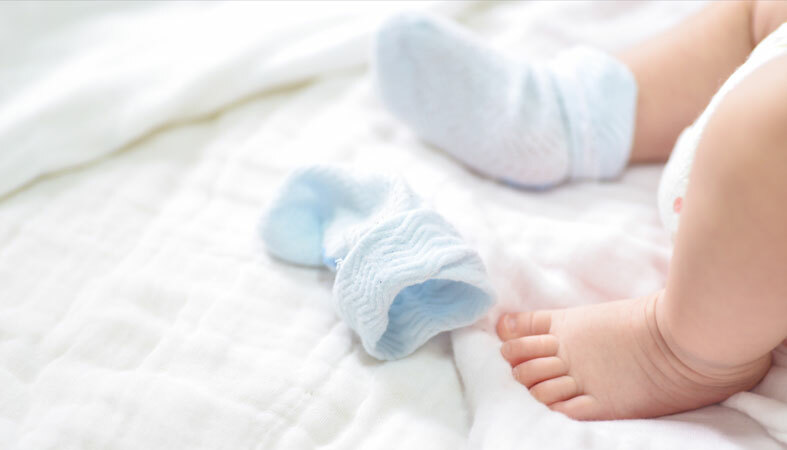 Socks are controversial, with some parents saying they’re unnatural, and others swearing by their ability to make your baby feel safe and comfortable. We’ll leave it up to your preference, but we wanted to share this option. 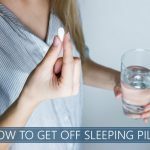 Other tips include using lightweight bedding and opening a door or window to increase airflow. If your infant is bottle-fed, you can give them chilled water to keep them comfortable. Babies who are receiving breastmilk as their sole source of food shouldn’t have extra water, but once they’ve been introduced to solid food, this cooling technique is an option you can try. How can I adjust the room temperature in winter? The same thermostat technique applies in winter months, and the same range of 68 to 72 degrees is still the recommendation. You can also add layers but do so with care. Avoid hats when they’re inside because it affects their ability to self-regulate temperature. What type of bedding is best? Simple and lightweight is usually the best choice. Avoid things like duvets and quilts until your infant or toddler graduates from the crib to a toddler bed. Our recommendation is lightweight, breathable bedding made of organic fabric when possible. As if it wasn’t challenging enough to get your infant to sleep during the night, now you have to be on the lookout for temperature, too! The good news is that a newborn’s temperature preference is similar to our own, so follow our basic guidelines, and you’ll be more likely to have a happy baby on your hands! When I’m not learning about sleep, you can find me hanging out with my wife and close friends. I absolutely love entrepreneurship and learning how to improve yourself daily. We only get one life, and I want to make it the best one possible.